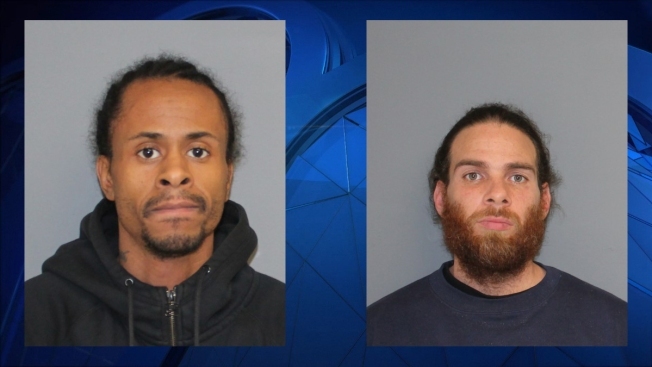 Shelton police arrested two men accused in a string of commercial burglaries in the area. Police said that on Tuesday they responded to overnight burglaries at Subway, City Stylez barber shop, Grow restaurant and M and T Spa, all located on Howe Street. The suspects had thrown rocks through front windows to break in to each business, police said. The same night similar crimes were reported in Seymour and Ansonia, and Stratford and Milford had similar crimes recently as well. Shelton police arrested two suspects, Keron Nixon, 34, of Bridgeport, and Roman Nieves, 37, of Bridgeport, in the case. Both men were charged with burglary, conspiracy to commit burglary, and criminal mischief. They are scheduled to appear in court on Dec. 21. Shelton police said other arrests in the surrounding towns are anticipated.